Claas is an agricultural machinery manufacturer founded in 1913. Sharnford Tractors supply Claas tractor products and regularly have models in stock and available for demonstration. As partners to the farming industry for more than 25 years, Manitou know that your business is both exciting and demanding, and that each application is unique. Sharnford Tractors supply a range of Manitou handlers. No matter what terrain you encounter, Honda ATVs inspire total confidence. Sharnford Tractors supply a range of Honda ATVs, from leisure models to heavy duty workhorses. Krone UK is an industry leader in hay and forage equipment. Their innovative line-up includes disc mowers, tedders, rakes, round balers. Millions of farmers around the world use a Hardi sprayers to protect their crops. The Hardi range includes self-propelled field sprayers, power sprayers and hand-operated sprayers. Cherry Products manufacture agricultural handling equipment and all of their attachments are manufactured in the United Kingdom. Since 1972, Shelbourne Reynolds has been designing and manufacturing innovative agricultural equipment and farm machinery in Suffolk, England. Einböck produces agricultural devices for cultivation and grassland care. Albutt manufacture equipment for the agricultural, construction and waste handling industries and specialise in the manufacture of attachments. 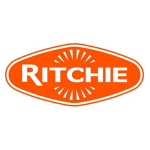 Supplying products to the Agricultural Industry, Ritchie have developed into a global supplier of high quality products and services to a wide range of industries. Lemken agricultural machinery is not only instantly recognisable by its blue colour, but primarily by the way it works on the field. Morris Lubricants is an independent manufacturer of lubricants, metalworking and cleaning products, including automotive lubricants and aerosols. IAE is the United Kingdom’s largest manufacturer of livestock handling equipment, equestrian stabling, steel fencing and shelters. Logic is a British manufacturer of farm machinery, equipment and accessories, with a range that includes trailers, mowers and fertiliser spreaders. Sulky is an innovating, independent company specialised in the manufacturing of seed drills and fertiliser spreaders. Patchwork Technology is a proud British-based developer and manufacturer of GPS systems for agriculture. G.T. Bunning & Sons Ltd. is a well established manufacturer of spreaders, servicing the farming communities of both domestic and export markets. The Company’s primary focus is to produce an extensive choice of high quality machines to satisfy the diverse requirements of individual users. NC Engineering produce a wide range of machinery for the agricultural industry, including grain trailers and dump trailers.